How do you check keywords rankings for a website? Maybe you just put up a site for your local business, maybe you are doing affiliate marketing, maybe you have a product site or maybe you are blogging about a specific topic. Today we put up websites for all different kinds of reasons. With one thing in common, we all want traffic to that site, we all want visitors! One way that can really drive traffic to your site is to use keywords within your content. The content will then be ranked within Google and other search engines for those specific keywords if done well. To create well-written, engaging content, based on keywords that rank well in Google and other search engines, can over time provide a lot of free visitors to your site. Exactly what we want. In this post, we will not go into keyword research but if you need information on that you can find that here: Keywords 101 – how to do keyword research for content marketing. 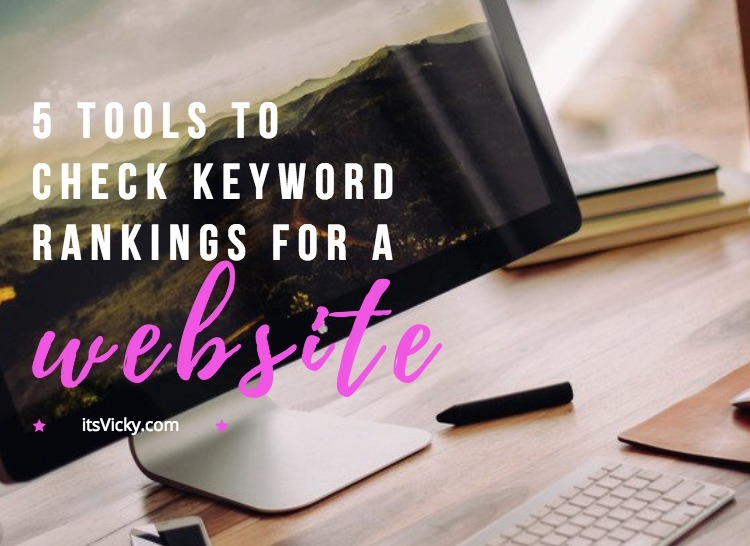 In this post, we will talk about different ways and different tools to use to check your keyword rankings. By now you probably created your keyword based content, and you are trying to figure out if it’s ranking in Google, Yahoo, and Bing. There are a few ways to check the rankings of your content and we will talk about 5 different ways to do it here. These are all great tools and I find them all being very useful. The fastest and easiest way to check a keyword ranking for a website is to type in the keyword that you based your content on into the search bar in Google. Will your website and content piece show up for that keyword? If you have a local business type in the name of your business and see if it shows up, add the town or city where you operate. 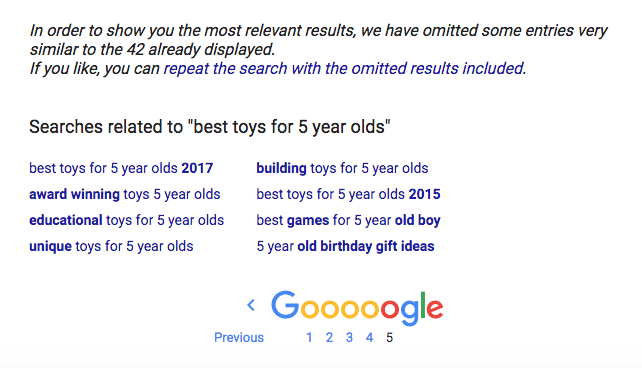 If nothing shows up try using hyphens “ “, say you are trying to rank for “best toys for 5-year-olds” when you use hyphens it will show results for only that specific keyword used. 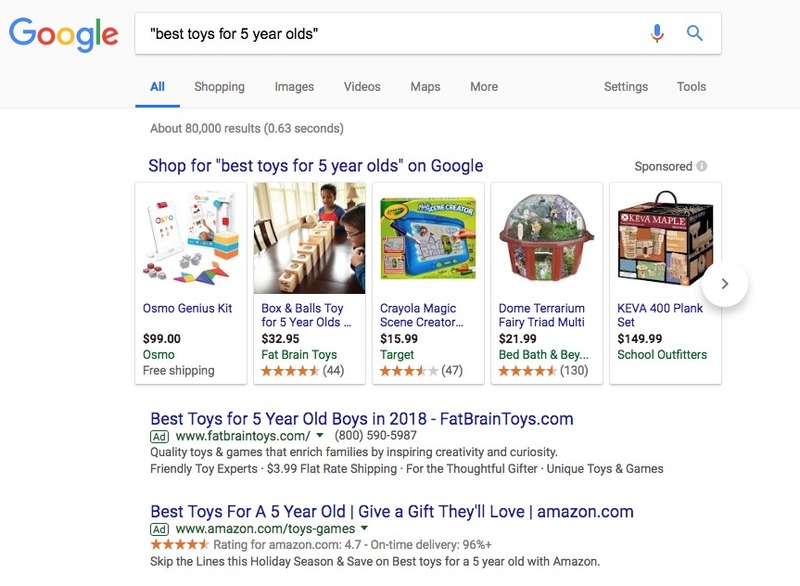 As you can see there are 80,000 results for the keyword “best toys for 5 year olds” that would mean 80,000 competitors for that specific phrase, that would be hard to rank for. Luckily this is not true at all. You can find out the real result, the real number of your competition by using the “hyphens”. Type in the keyword using “hyphens” and scroll to the bottom of the page, click number 10 under Gooogle. By doing that the real result and the real competition number will show for that specific keyword. Turns out there are 42 entries for the keyword “best toys for 5 year olds” that’s a lot better than 80,000. Will your content show up in hyphens? Google will give you a quick overview if you are ranking or not, but there are an easier way and a better way to keep an eye on a specific keyword long term. I use Jaaxy for both keyword ideas, keyword searches and to keep track of my keywords in the rankings. 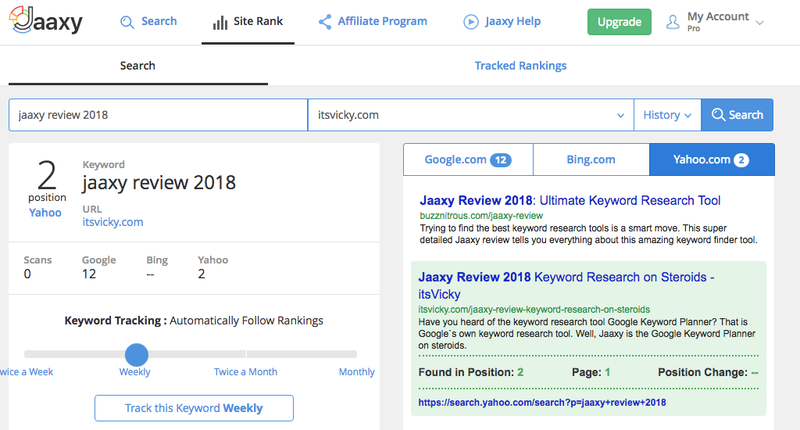 Here I can track a specific keyword for a specific site, set the scans to however often I want them scanned I chose weekly, and Jaaxy will keep track of my rankings in Google, Yahoo and Bing. I can now let Jaaxy keep an eye on that ranking for me and I can just come back and check on it. See if it improves or declines and so on. Jaaxy is a great keyword tool to research keywords but also to keep track of them. Another tool I find very useful is SemRush. This is a great tool to get an overview of your rankings, see if your site is gaining or losing if it’s growing in the right direction. In March there were a lot of Google updates and algorithm changes, which put a dent in the rankings for the sampled site. With the free service you can see some of the individual keywords that you rank for but to see them all you have to go premium. It does give you a great insight though into your specific keywords along with rankings, ads and more. In the search of SemRush, you can search for a website and get the result or a specific keyword to see more information. A really good tool to make use of. The Webmaster tool is a great free tool from Google, if you are not signed up for it I recommend you do that. It will provide you with specific keywords you are ranking for and a lot of other useful information. It will also be a communication channel between you and Google if you ever need it. Let me show you where you can find and check keyword rankings with Google Webmasters. You will go to your website within Google Webmasters if you haven’t added your site yet you can do so by clicking “add a property” and follow the instructions. Under Search analytics, you can find great information. 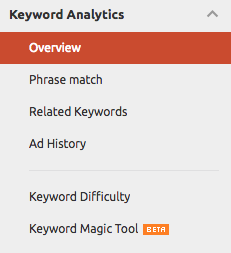 You can get clicks, impression, CTR, and position for a specific keyword. You will see exactly what keywords are ranking, what position they have and lot’s more. Really a great free tool to make use of, and a great place to find keywords you are ranking for. Google Analytics is another great tool from Google themselves. This free tool will give you so much information and insight to your site that for me it’s a must-have. Google analytics will provide you with audience, behavior, acquisition, conversions information and more. See specific pages that are getting traffic, see where the traffic is coming from, real-time info and more. How do you check keyword rankings with Google analytics? 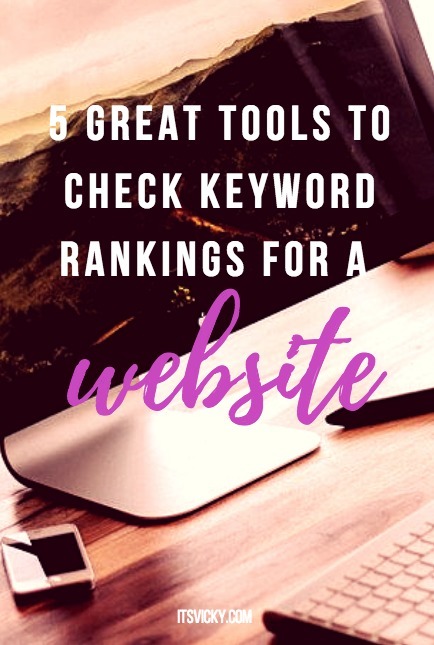 You can connect it with search console/webmaster tools and get pretty much the same information that you get from Google Webmaster tools, but you will have it all in one place. There you have 5 different ways to check your keyword rankings. But what if you find out that your site is not ranking? That the content you worked hard on is not showing up in Google. Is your site brand new? Sometimes it takes a while for Google to find your site and start ranking the content, in the beginning, we all have to be a little patient. Submit the content link to Google Webmasters – there is a place where you can submit your URL to Google Webmaster tools for your site to be crawled. Share on social media. Social media get crawled by the search engine spiders often, is your content out there to be found? You also want to make sure that your site is set up right for Google to find your content. Is your site set up the right way for SEO? Basic SEO for your WordPress site. There are also different places in Google where you can show up? Read more about that in How to make your website show up in Google.